Can you believe it? The E3 2019 schedule officially kicks off in a little over a month's time, and we already know the full itinerary for the big press conferences of the show. That includes the likes of Microsoft, Bethesda, Ubisoft, and more, with the promise of big announcements from the stage floor, all of which can be viewed from the comfort of your living room via the power of online streaming. Below, we've outlined the dates, times, and links of every press conference announced as part of the E3 2019 schedule, alongside some information of what to expect from each of the shows themselves. For those of us not based in the United States, staying up to date may require a few late nights (or early mornings, depending on how you look at it), but it'll be worth it for just a few precious new glimpses at games like The Outer Worlds, Cyberpunk 2077, and more. Interestingly, the E3 2019 schedule is going to be a bit different this year, as Sony PlayStation is skipping E3 entirely this year in favor of "exploring new and familiar ways to engage our community". Interesting. Plus, while EA Play is still happening, EA is skipping its press conference this year in favor of a series of live streams. For now though, the biggest question that we really need to answer is "When is E3 2019? ", and it's actually closer than you think. EA Play runs from June 7 - 9, and then the press conferences run from Sunday June 9 until Monday June 10. 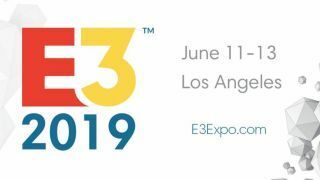 E3 2019 itself runs from Tuesday, June 11 to Thursday, June 13 at the Los Angeles Convention Centre in, you guessed it, Los Angeles. What's the full E3 2019 schedule? But until then, you’ll need the full E3 2019 schedule, including all the international timings for the press conferences and live streams. Read on for a breakdown of everything happening on each day and how to watch the live streams from the comfort of your own sofa, if it's been announced. We're still yet to hear if and where Microsoft and Square Enix will fit on the E3 2019 schedule, and although Nintendo has stated it will be at E3 this year, it has yet to confirm when it's E3 2019 Nintendo Direct will occur. But we'll be updating this article regularly with all the latest. From Friday night LA time, EA will be holding various live streams including an all-new EA Play kickoff event. "We're skipping the press conference this year and are replacing it with multiple live streams that will air during the first two days of the event, bringing you more of what you've told us you want - more gameplay and insights from the teams making the games." The full E3 2019 schedule for EA Play has yet to be announced though, but it will run until June 9, with the EA play fanfest, where players can get hands-on with the EA lineup, running across the Saturday and Sunday, June 8-9. Xbox has now confirmed when it'll be holding its major E3 2019 briefing, so expect some big news re: next-gen consoles, games and more. Microsoft has said that it "can’t wait to share more about what we’ve got up our sleeves for the future". "During the briefing, you’ll have a chance to check out everything from trailers for unannounced titles coming in 2019 and beyond to in-depth looks at previously announced games. You can watch the Xbox E3 2019 Briefing live beginning at 1 p.m. PDT on Sunday, June 9 on the official Xbox Mixer Channel or on the Mixer app for Xbox One and Windows 10," as explained on the Xbox Wire blogpost. As you can probably tell by the image above, Elder Scrolls is going to feature in some way at Bethesda's press conference this year - although it's already been confirmed that there's no Elder Scrolls 6 or Starfield presence this year. But, then, what's that dragon doing there? Elder Scrolls Online? It's going to be an interesting year for Bethesda fans, regardless. Our sister site, PC Gamer, is hosting the PC Gaming Show for the fifth year in a row, and you can watch the whole thing over on the dedicated Twitch channel. It'll be a showcase of unrevealed PC Games and hardware, which should be quite the spectacular event. More Just Dance? Definitely. A new Splinter Cell? Hopefully. News of that rumored Assassin's Creed Vikings game? Potentially, although it's not out until 2020. Something Far Cry-shaped? Probably not so soon after Far Cry 5 and Far Cry New Dawn. But we'll no doubt get updates on Skull and Bones, as well as Beyond Good and Evil 2, so as always, Ubisoft's E3 2019 press conference will be one to watch. Square Enix held its own E3 livestream last year for the first time and it was... not great, but hopefully 2019 brings better news for those seeking an update on The Avengers Project and Final Fantasy 7 remake. Oh, who are we kidding? We're just going to get The Quiet Man 2, aren't we? You'll be able to watch the full show on Square Enix's website here. While it's not a AAA press conference, the Devolver Digital showcase is always jam-packed full of quirky, brilliant, and utterly watchable indie gaming goodness. You'll be able to watch the chaos unfold over on the official Devolver Digital Twitch channel. Technically, Nintendo hasn't yet confirmed when it's E3 2019 Nintendo Direct will be, but we're assuming it'll take it's regular slot on the Tuesday morning of E3 before the show starts properly. However, with Sony out of the picture this year, Nintendo may pick another time slot. For now though, we'll pencil Ninty in here. The official Nintendo E3 2019 website is live though, so stay tuned.